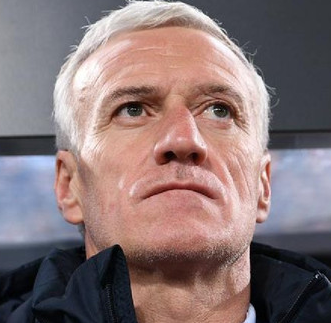 One of the popular renowned and retired French football and also manager is named as Didier Deschamps who plays works as a manager for the France national team. He is well known French celebrity. He is famous for contribution in professional life. Previously, his playing position is best at defensive midfielder. Currently, he is the coach of French National Team. He had played for Nantes, Marseille, Bordeaux, Juventus and many more clubs. He was given a nick name “the water-carrier”. Didier Deschamps was born on 15th October, 1968. He was born and raised in Bayonne, city of France. He is the son of Pierra and Ginette, his father and mother. His father was a house painter and his mother was a sales woman. Since childhood, he had very keen interest in Football. His nationality is French and he belongs to French Basque ethnicity. His birth sign is Libra. Talking about his body, his height is 1.69 m. His weight is of 71 Kg. He has balanced body with good health. Didier Deschamps played rugby for a professional rugby union team, Biarritz Olympique as an intern. Then, in 1976, he started his football career joining Bayonne while he was in a school. After that, he left the club after playing for about eight years. He also played two years for the youth team of Nantes from 1983 to 1985. After 1985, Deschamps started playing in a senior team of Nantes after being promoted to a senior team. Again, he left the club after scoring 4 goals in total appearances of 111. Then, in 1989, he transferred to Marseille with the transfer fee £459k. Deschamps is also the member of the team that won French Division 1(1989-92) and UEFA Champions League (1992-93). He was named as the youngest captain ever to lift the trophy. He then transferred to Juventus for transfer fee of £4.95m after spending a loan contract with Bordeaux. Along with his team, Juventus, he has been honored with Serie A (1994-1998), Coppa Italia (1995), Supercoppa Italiana (1995, 1997), UEFA Super Cup and Intercontinental Cup (1996) and UEFA Intertoto Cup (1999) and many more. He has scored 4 goals in 124 matches before ending his career in Juventus. In 1999, Didier Deschamps was signed by Chelsea with transfer fee of £1.80 m. He was the member of the team that won FA Cup (1999-2000). He left the club in 2000 after scoring 1 goal in total matches of 13. Again, in 2000, Deschamps moved to Valencia with the transfer fee worth £3.15m. In total, he played in 13 matches for the club. He retired from football at the age of 32 in the mid of 2001. As a football star, he has been honored with French Division 1 Rookie of the Year (1989), French Player of the Year (1996), UEFA Euro Team of the Tournament (1996), FIFA 100 (2004) and The Dream Team 110 Years of OM (2010) and many more. In 1988, Didier Deschamps initiated his international career with the France U-21. He totally played 18 matches for France U-21. And after a year, he was called up to France national team. Deschamps first appearance came in a friendly match against Germany in 1996 as a captain. He was the captain of that team won 1998 World Cup in Paris, Euro 2000. After that, he officially announced his retirement from international football and his last match was against England. Brazilian player, Pele gave his name as one of the top 125 greatest living footballers in 2004, March. He has scored 4 goals in 103 appearances for his national team. He started his managerial career with Monaco. He was the manager of the team which won Coupe de la KLigue (2003). He then managed the Serie A team, Juventus and won Serie B (2006-2007). Then in 2009 he joined Marseille. The club achieved Ligue 1(2009-2010), Coupe de la Ligue (2010-2012) and Trophee des Champions (2010,2011) etc and many more while he was on the team. He has also been honored with Ligue 1 Manager of the Year in 2004 as a manager. Didier Deschamps was also announced as the new manager of the French national team. He led the team into the quarter-finals of the 2014 FIFA World Cup as well as Final of UEFA Euro 2016 as a manager. Since 2012, he managed the France National Team and is the manager of the upcoming World Cup 2018. His current national team players are Steve Mandanda, Blaise Matuidi, Thomas Lemar and many more. Didier Deschamps is married with his girlfriend, Claude Deschamps. His wife is two years older than him. On May 16, 1996, they were blessed with their first child named Dylan. After their marriage, they live happy life without any sign of separation. The net worth of Deschamp's is estimated to have $10 million in 2017 with all of his properties and incomes. He is receiving an annual salary of $2,161,000. The annual salary of him is fifty two times more than the average salary of person in France. He lives in a house of Bayonne with his family. He is also enlisted as one of the top 15 highest paid coaches in the whole world. He loves cars and he has collection of cars including BMW Z1, Ferrari 550 and many more. He began coaching the French national team after coach Laurent Blanc resigned. In March 2004, Didier Deschamps was named by Pele as one of the top 125 greatest living footballers. He was the Youngest Captain ever to lift the trophy of Champions League in 1993, with his team members. He had played in 103 international matches for France. Currently, he is the coach of Monaco FC.